How innovative and popular are the new domain names? That's what the nonprofit Domain Name Association recently investigated, based on a world-wide survey. It turns out that the new domain names have a huge market potential, especially in rapidly developing countries like China and India. Although the new domain names turned out to still be less known and little used, the questioned Internet users seemed to immediately ‘get it’ when it comes to their possibilities. The new extensions are easy to remember, creative and innovative. And who would pass on that? Say you live in London: would you rather buy shoes online at shoes.uk or shoes.london? Do you more often rely on a search engine or type the domain name directly into the address bar? Questions like these were submitted to the internet users from the United States, England, Australia, China, India, Germany, Russia, Turkey, Mexico and Brazil. The questionnaire was adapted specifically to each country. 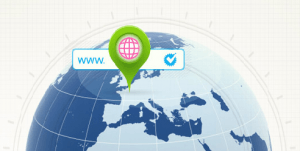 The Domain Name Association conducted the survey in 10 countries all over the world and received the preferred choice of more than 5,000 Internet users as to the traditional gTLDs, country code TLDs and new gTLDs. The study looked at awareness, intrinsic values of various TLDs - such as reliability, creativity, usefulness and safety -, possible applications, acceptance, and demographics. The survey shows that Internet users definitely pay attention to the extension of a domain name. As many as 85% of respondents type the domain name directly in the browser instead of looking for the website in a search engine. The new domain names are still little known, but more than half of the respondents believe that there should be more options to register short, meaningful and easy to remember domain names. Interestingly enough, in countries with lower levels of Internet penetration - such as China and India - the interest in the new extensions was the highest. Have in mind, these countries are also the fastest growing Internet markets. These same countries attribute less importance to their own country code TLDs as extensions that exude "trust" and "security". They are, of course, latecomers on the Internet market. When most short and easy to remember .com domain names are already occupied, the new extensions are the ones to provide options in the domain name department. We now know the new TLDs are seen as creative, exclusive and useful options. However, still, the old ccTLDs and gTLDs are generally considered more familiar and safer. The biggest challenge for the new extensions would thus be to gain trust of the Internet market. As the new domain names become more known, we expect to see users gradually build their confidence around them. And becoming known definitely will not be a problem. Judging from the study, the advantages are obvious for the users. You can be sure that this will be followed by popularity and high demand. That is, we ‘get’ them and we want them! Scotland (virtually) breaks away from the .UK!